It would be real hard for me to count the amount of times I have come across a tripped breaker or blown fuse due to a failed crankcase heater. It makes sense though, a lot manufactures don't provide an auxillary contact or thermostat to cut its operation when not needed. They are exposed to the elements and varying compressor temperatures contribute to the expansion and contraction of the heater. Crankcase heaters are used to protect the compressor from liquid refrigerant migration during the off cycle and are an important factor in preventing flooded starts. In my experience, crankcase heaters are over looked during preventative maintenance, finding failed or defective heaters can result in creating legitimate work. Also, if you are experiencing a situation with a tripped breaker, inspecting the crankcase heater is not a bad place to begin troubleshooting. Fortunately, there is a product that doesn't require extra controls to regulate heat. Universal, self regulated crankcase heaters are available and they fit various compressor sizes. Emerson EasyHeat is great example of this type of heater. 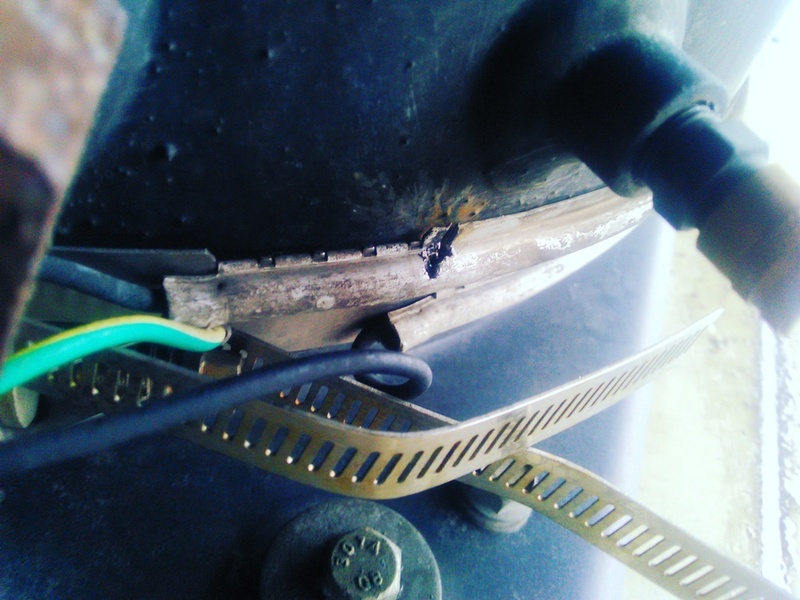 Keep In Mind: When wiring in a crankcase heater utilizing auxillary contacts, ensure that the heater is powered on the compressor "off" cycle and not vice versa, a mistake that has been made by several techs.